RideAlly is a platform which provides safe and secure travel for all. RideAlly is developed for mobile devices, tablets, desktops, laptops or all kind of platforms/devices with Internet facility. 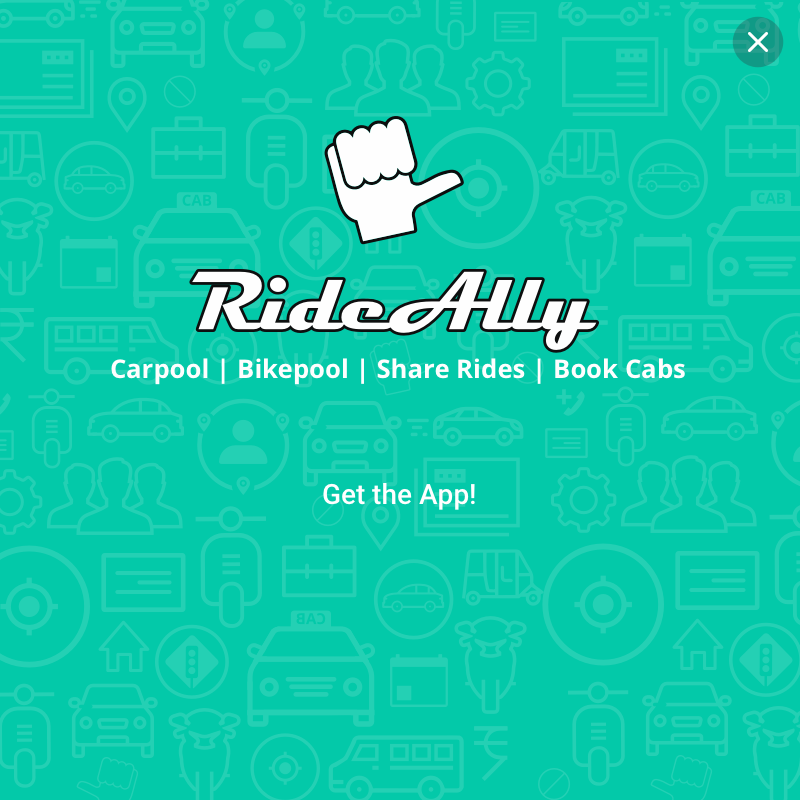 One can install Android App, RideAlly from Google Playstore or iOS App from Apple Appstore or open https://rideally.com on any device. RideAlly is developed and promoted by RideAlly Travels Pvt. Ltd. based at Bengaluru, India. Concept: RideAlly project was initially conceptualized by our Founder, Mr. Hariprakash Agrawal in Oct'2010. Beta Launch: First Beta version was developed by OpCord Consultancy Services Pvt Ltd and launched in Sep'2013. Subsequently, few more beta versions were launched in year 2014. New Company: RideAlly Travels Pvt Ltd was formed in Mar'2015 and it took over further development and promotions. First wave of funding was secured from some friends and family members. Launch of Shared Cabs: Shared Cabs were launched in Jun'15 and many routes were started. It was quite successful however enough cabs were not available. Also, provided personal cabs to many users. Launch of Custom-made ride-sharing app: While discussing with many companies, we realized that it is not legal to share cost from personal vehicles and safety/security is also an issue hence we launched 'Workplace' feature in Apr'16. With this, Corporate could have its own ride-sharing app where employees share only among themselves without sharing cost. We appreciate each and every feedback from you to make us even better. 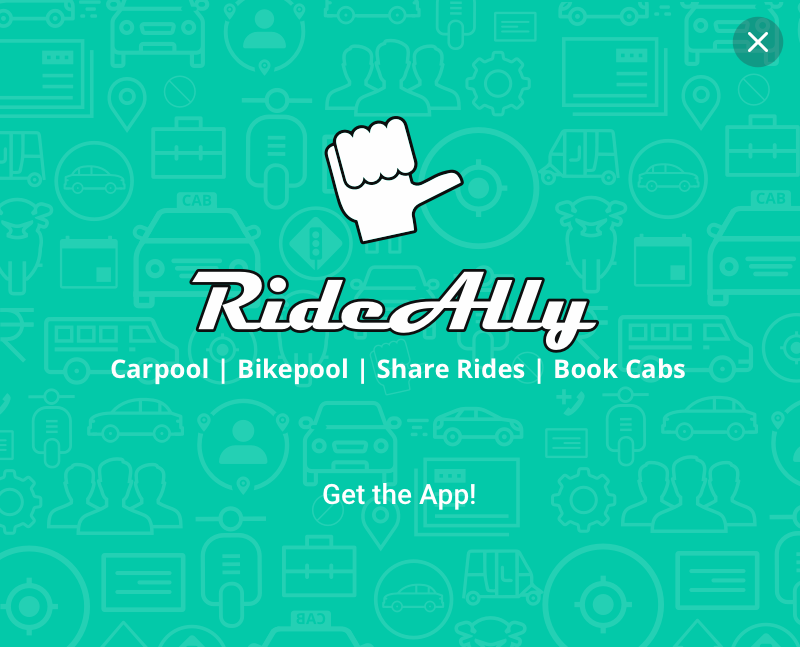 You may share any feedback, good or bad, with us at support@rideally.com or as well call our customer care at 080 4600 4600.